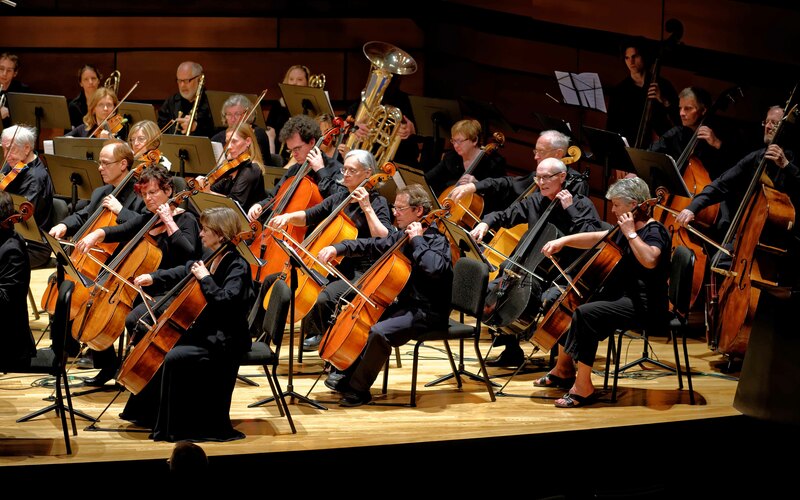 Orchestra Kingston is a community orchestra located in Kingston, Ontario, Canada. Since 2008, we have been performing concerts that feature a wide range of musical genres, with a special focus on Canadian composers. We often perform in collaboration with other community ensembles and professional soloists. We provide an opportunity for amateur musicians in the Kingston area to play orchestral repertoire under the baton of a professional music director, and to develop their skills as orchestral players in a relaxed but dedicated environment. 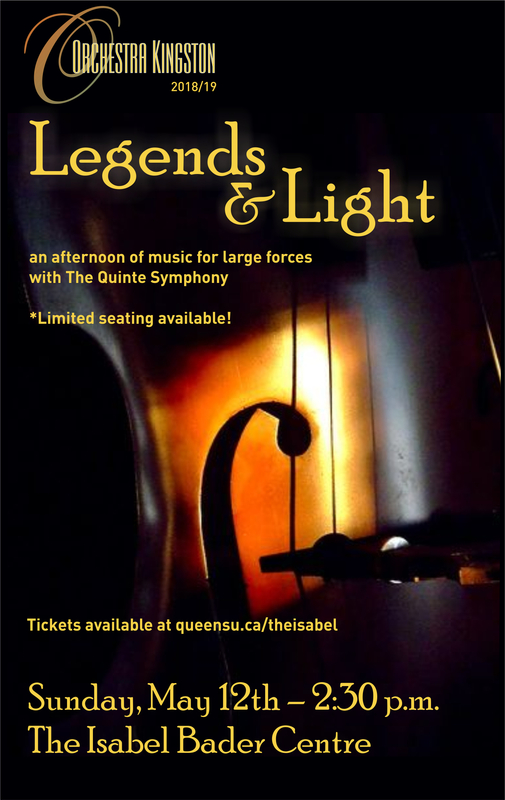 We prepare a four concert season and meet on Tuesday evenings from 5:30 to 7:30 p.m.
Orchestra Kingston joins forces with The Quinte Symphony to present an afternoon of music for large forces. 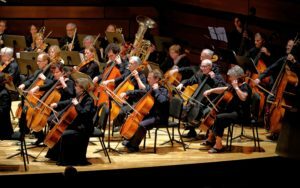 The programme will include oft-performed works by Wagner, Rimsky-Korsakov, Tchaikovsky and Mendelssohn, among others, as well as an original composition by Orchestra Kingston’s own music director, John Palmer. 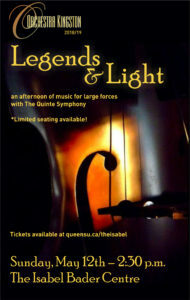 Tickets are now available exclusively through the Isabel Bader Centre website. Limited seating: Get your tickets today!